You live a life no one else lives. Shouldn’t you have a home that no one else has? You are an individual with your own views. You know exactly what you value, what makes you unique, what inspire you. You have spent years defining your style, your way. You see things differently as you should. So when it comes to aesthetics, you have a definite idea of what you want, what is best what is beautiful. At Russell Parsons Builders and Designers we build your ideas literally. It is the way we have been building for over thirty years, one home at a time, with endless opinions for customisation and limitless capabilities with design. 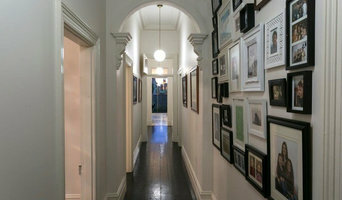 When you build with Russell Parsons Builders and Designer your home is not just like those down the block. How could it be, it is build around your vision. Specialist builders of Rammed Earth Walls featuring timeless, natural beauty & contributing to quality sustainable homes that will continue to be a pleasure to live in for generations to come. We believe that looking after, & using our world’s resources wisely is essential & constructing Rammed Earth walls for dwellings is one way of doing this. We value & strive for quality in every way – in service, products, work, results & communication. 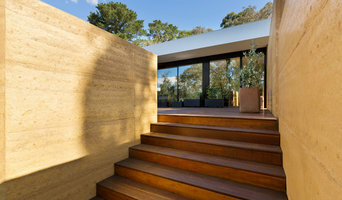 Eco Sustainable Homes are award winning builders, specialising in the design and construction of custom homes featuring rammed earth walls. Their designs are holistic, utilising environmental best practice whilst maintaining optimal everyday functionality. New Homes Our passion is making your dream home a reality! Adrian Bassett Homes are very approachable and knowledgeable when it comes to building homes in this region. From planning permits, to drafting and design we can help you through the process. 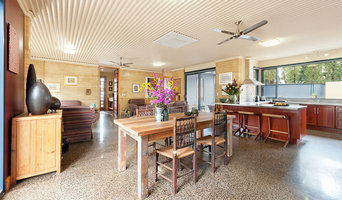 Adrian Bassett Homes are your locally registered Master Builders with a great reputation. Renovations Are you looking for a reputable builder that can turn your plans into reality. Adrian Bassett Homes have a wealth of knowledge and can offer solid advice when it comes to renovating your home or planning an addition or extension. From the latest products and trends to preserving heritage features, Adrian Bassett Homes take great care in producing aesthetically pleasing homes with practical features. Master Builders From initial concept enquiry through to the completion of homes, Adrian personally provides hands on experience and knowledge of the building industry. The entire team at Adrian Bassett Homes are committed to providing superior service to ensure confidence is maintained throughout projects. With over 12 years experience in the building industry and a member of the Master Builders of Victoria/ Adrian Bassett Homes will manage, construct and complete any project with professionalism and exceptional craftsmanship. Passionate, Enthusiastic, Talented and Highly Skilled people, all here to make your building experience a pleasurable one. We excel because you have vision; whether it be your first home, your fourth home, your Architectural home or your renovation or extension. It’s because you want a builder that shares your dream and makes it happen with minimal fuss. Order your tiny house off the plans, customised to suit your needs. With beautiful wooden finishings and clever design you can live the tiny house dream in a completely self contained portable dwelling and save on rent or a mortgage. Fred's tiny houses are fully insulated and wood fire heated with kitchen and bathroom included so they are a pleasure to live in all year round. Also perfect for rental accommodation, B&Bs and increasing the living space on a suburban block, tiny houses open up a lot of opportunities for many people. 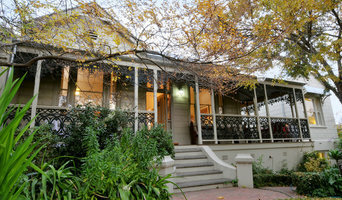 Located in Castlemaine, Victoria and now taking orders. We are a Turn-Key builder servicing the Bendigo region. We have a wealth of experience in home design and construction and our main aim is to deliver excellent service and a stress and hassle free building experience so you can move into a quality home with nothing to do. Lansell Homes is a local family owned business which develops fully planned and landscaped estates, designing and building all the homes through to total completion. We are committed to ensuring everything is done for you. Our sales, design, construction and landscape teams take enormous pride in the quality of the work they produce. Our hand picked subcontractors and suppliers are required to meet our exacting standards. Lansell Homes focuses on giving you 'One on One' personalised service including meeting your wants, needs and desires in the most cost effective, professional manner. 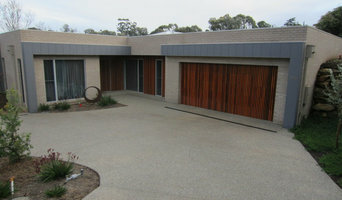 Sandhurst Homes has been an established and well regarded builder in Bendigo since 2007. Owners, John and Amanda built the business with the vision to provide exceptionally built homes for people in Central Victoria, building from Kyneton to Echuca. All staff, trades and suppliers are local, taking significant pride in showcasing their own businesses and quality of work. We are dedicated to providing quality homes to each and every customer. We have come to understand the features and specifications that most of our clients expect in a new home. Instead of providing you with a 'low specification' home price and letting you 'add up' all the extras, we take a very different approach. Our market leading premium specifications include all the things that other builders call 'extras'. " With us, you get straight prices, straight talk & straight walls "
At Cutlack Builders we think what we do matters. A new home is so much more than just bricks and mortar. We believe a new home is the foundation to the picture of how life should and can be. A correctly designed/built home can make all the difference. Have you ever wondered why most houses are so cold in winter and so hot in summer? and use so much energy to make them comfortable to live in? Contact us to find out how we make all the difference. Brant and his team of qualified subcontractors, tradesman and consultants share the passion for creating homes and doing quality work that will last for years. Brant became a qualified carpenter after he recognised his passion for building was more than just a hobby. With years of experience in the building industry, Brant took his passion a step further and became a registered builder. In addition, Brant has gained Green builder Studies, Certificate II in Engineering Studies, Certificate III in OH&S, Certificate IV in Building and Construction as well as Waterproofing and First Aid Certificates. Cutlack Builders is a member of the Housing Industry Association and the Building Commission. As a service we carry all relevant insurances, including public liability, contract works & home warranty insurance. Yarrington Construction is a Bendigo based construction company with 15 years of trade experience in a broad range of projects from home extensions to custom builds. With a background in commercial and residential construction, we enjoy working with all types of materials and pushing the boundaries of engineering and design to get the look and feel you desire. If you’re looking for a professional extension builder or would like more information on the services please get in touch. Whether you’re undergoing home renovations or building from scratch, hiring the right home builder is essential. Your choice will determine the quality of craftsmanship, as well as how high your stress levels rise! A home design or building project is a huge and multifaceted undertaking, so it’s important to find a local Bendigo, Victoria builder you can trust to bring your vision to life and keep the process under control. The Houzz professional directory of home builders is a great starting point to choose the right builder for your needs. What exactly do Bendigo, Victoria home builders do? Before any nails are hammered down, construction companies perform market research to determine whether the prospective site for a new home in Bendigo, Victoria makes sense. They also survey the land to make sure it is suitable for construction, and obtain any necessary Victoria permits. Scroll through this page to find contractors in Bendigo, Victoria. Then, click on a professional to browse photos of their latest projects and see how their work compares to the scope of your project. Read reviews to see how other homeowners rate their work, and message the home builder or construction company directly to ask any specific questions.